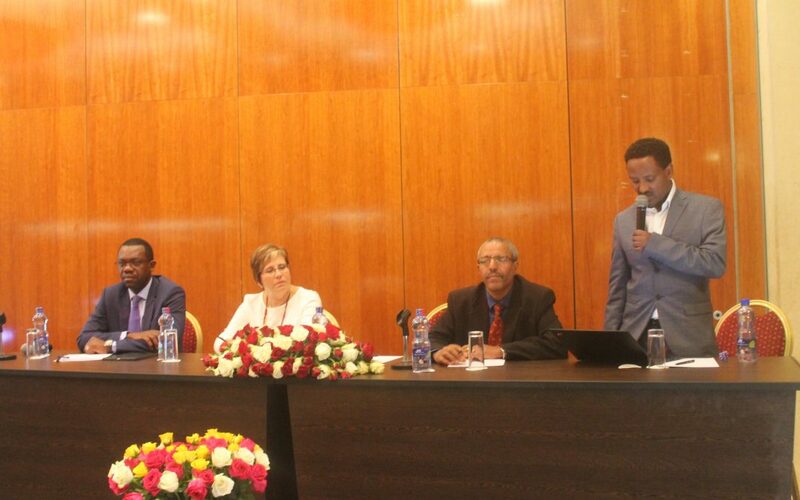 Researchers from different countries converged in Addis Ababa, Ethiopia where they advocated for easy and open access to scientific platforms and publications. This was during the UbuntuNet-Connect 2017 pre-conference workshop titled “Towards an Open Science Platform Infrastructure Framework” held on Wednesday, 1st November 2017 at the Hilton Addis Ababa Hotel in Addis Ababa, Ethiopia. The pre-conference workshop was organised by the Academy of Science of South Africa (ASSAf) in collaboration with UbuntuNet Alliance within the framework of the African Open Science Platform, which ASSAf is implementing. The event attracted speakers from the two organisations as well as from the Ethiopian Academy of Sciences, the Ethiopian Ministry of Science and Technology, CODATA in France, University of Catania in Italy and the University of Botswana among other speakers. During the conference speakers and participants agreed on the need for consolidated efforts towards the lobbying for adoption and implementation of Open Science Policies and the importance of recognising NRENs as providers of infrastructure necessarily for Open Science. Speaking after the workshop, African Open Science Platform Project Manager, Ina Smith hailed the workshop for establishing networks needed for the advocacy of open science. Slides of presentations made at the workshop are available for download.